Another great day on @Chelt52! Lots of tweets today, all of which will be entered in to the draw for a Science in Sport Endurance Pack. 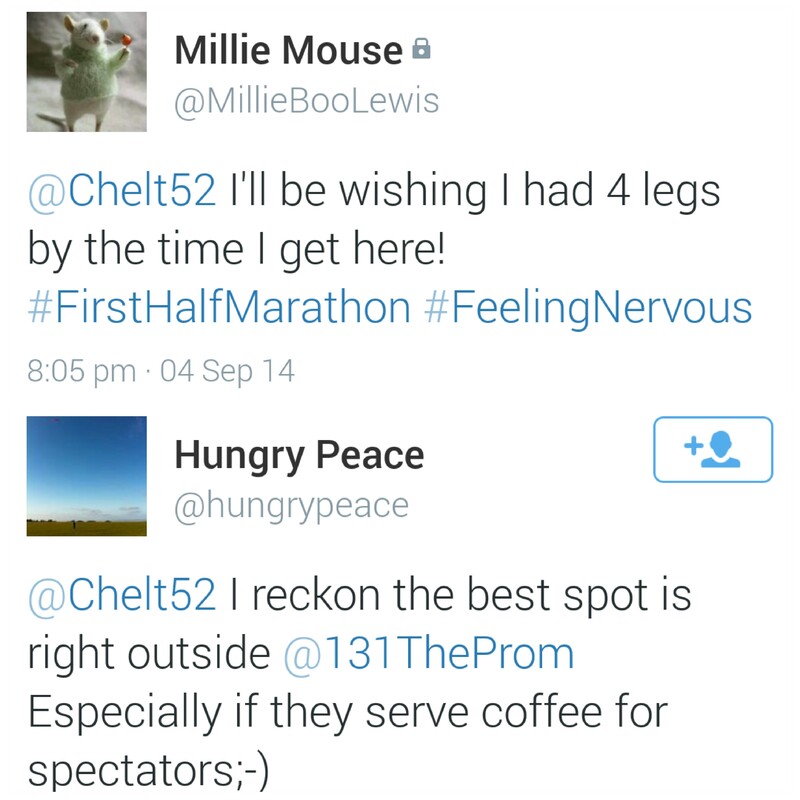 As the weekend and Cheltenham Half Marathon get closer there will be lots of information coming your way. If you have any questions about the race or running then get in touch, I’d love to hear from you! Cheltenham Harriers, based at the town’s athletics hub The Prince of Wales Stadium, are a competitive club covering all athletics disciplines, including distance running. They offer a ladies beginner group on Monday at 6.45pm & also offer kids an introduction to athletics and running. For adult runners with a 5km race time of under 19m30s training is every Tuesday & Thursday at 6.45pm. 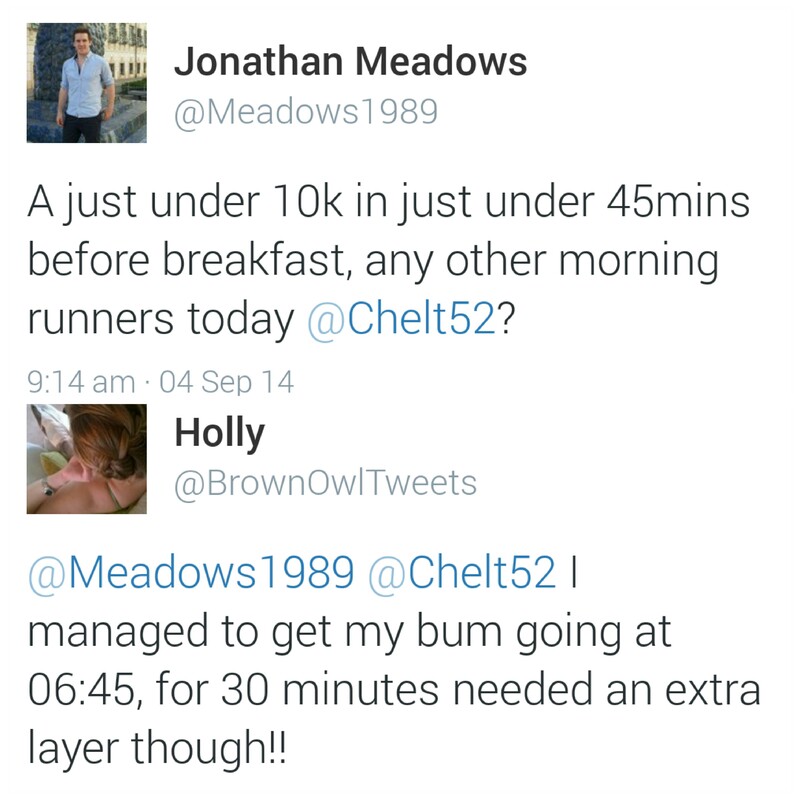 These guys are seriously quick so maybe not one for social runners but if you want to improve go see them! 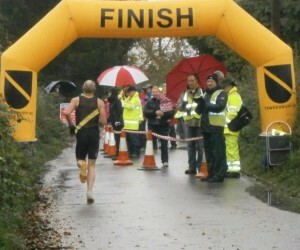 The Guy Fawkes 5 is a lovely short race on quiet country roads outside Tewkesbury. It’s also great to support the small local races.The running community is a great one to be involved in! To get more info and enter online at here. Will I see you on the start line?!? 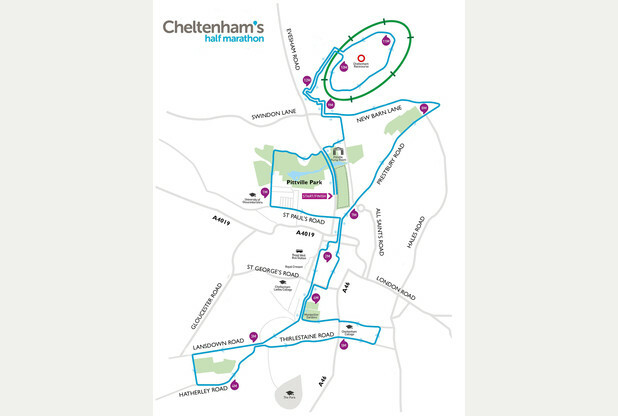 With only a few days to go, it’s time to look at the route of the weekend’s big race, Cheltenham Half Marathon. 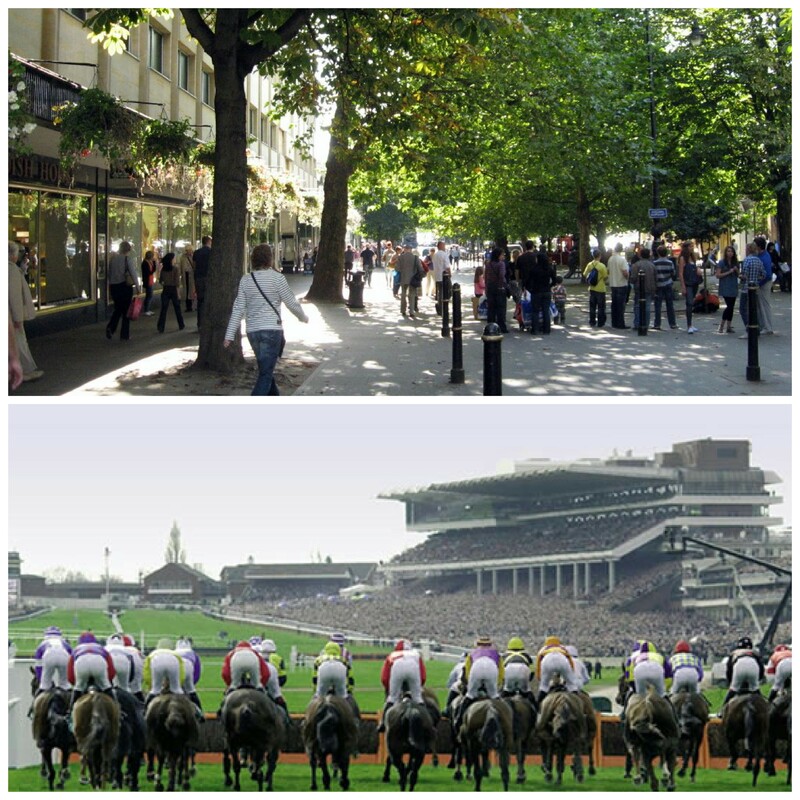 It’s a great 13.1 miles around the town following the wide leafy roads and taking in such highlights as the Promenade and a loop of Cheltenham Racecourse, normally reserved for 4 legged runners! There’s lots of opportunity for spectators to line the course, so I hope thousands of you turn out! Where are you going to be watching the race from??? This entry was posted in Chelt52, Life, Running, Training and tagged Chelt52, Cheltenham, cheltenham half marathon, CHeltenham Harriers, competition, fitness, giveaway, Guy Fawkes 5, Pittville Park, running, running club, Science in Sport, Tewkesbury Athletic, trail running, training. Bookmark the permalink.